Stuart, FL — U.S. 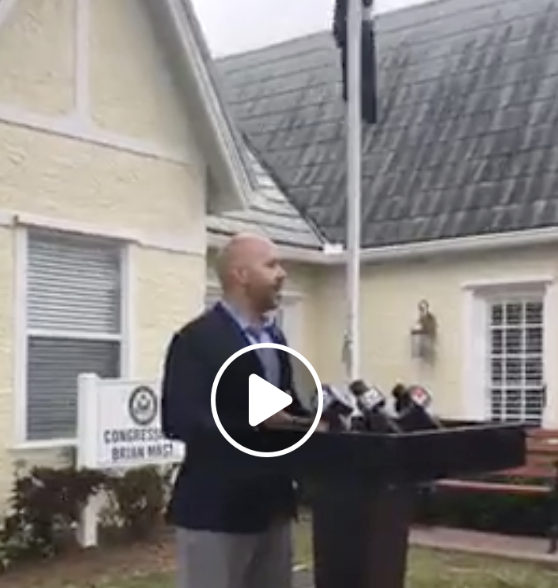 Congressman Brian Mast (FL-18) today introduced new legislation, called the Toxic Health Threat Warning Act, requiring the U.S. Army Corps of Engineers to notify affected communities about public health dangers before discharging water contaminated with cyanobacteria. Last summer, the U.S. Army Corps of Engineers discharged water from Lake Okeechobee that was found to be more than 50 times too toxic for human contact. As a result, animals died and people became severely ill. Scientists and health professionals have found that toxic algae can cause nausea, vomiting, liver disease and even death. Scientists have also linked at least one other toxin in the algae to neurological diseases such as ALS and Alzheimer’s. If the water is contaminated, require the U.S. Army Corps of Engineers to notify the public and affected governments of the contamination, planned discharge and potential public health effects before releasing the water. Love is in the air! Let the Stuart Community Concert Band get you in the mood!